As was the case with many Shetland families in the 1950s our house contained a number of local publications which were not properly appreciated at the time in terms of their future desirability and hence exposed to damp, sunlight, cigarette smoke or given to the children to scribble on. I’ll never forget as a five-year-old picking up a copy of J.J. Haldane Burgess’s 1898 Shetland novel Tang (which someone had told me was another word for seaweed) trying to puzzle out why anyone should want to write a book on anything so mundane, and reaching for the crayons. Many years later it was to become one of the sought after books on my wants list! To be honest, the copy of Tang that I eventually obtained was neither scarce nor cost a fortune, nor indeed was about seaweed! I paid £12 for it and the reality is that many Shetland books (including any unpriced titles mentioned below) are commonly available for less than £20. One of the possible reasons for this is that the literary output on Shetland has been considerable. Some years ago I carried out an attempted audit of the main titles which came to just under five hundred, but when one adds the various other items such as travel guides, almanacs, school magazines etc., a realistic estimate is perhaps double that figure. There are also around two hundred books and booklets currently in print. My selection here can therefore barely scratch the surface and I would accordingly direct the interested reader to L. Rendboe’s A Shetland Bibliography (1983) for a more extensive list. Over the last twenty years or so Shetland books have become more and more collectable within the island as is witnessed by the increased participation in the Shetland Book Auction which is now held in the capital town Lerwick twice a year with around four hundred items per catalogue. Prices can fluctuate widely from sale to sale with some very high bids being offered for rare or otherwise attractive publications. The range of books is much wider than the mere topographical, embracing for example the richness of the wildlife, the well preserved archaeological sites, and the individuality of the culture, customs and dialect, and hence the desirability of certain titles extends well beyond the local area. Some volumes are therefore becoming scarce and costing well into three-figure sums. 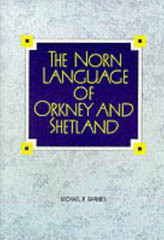 Included in the higher priced are a number of early classics on Shetland, written in the main by visitors to the islands and sometimes incorporating a similar commentary on Orkney and to a lesser extent the north mainland of Scotland. The best of these in many people’s opinion is The Orkneys and Shetland by John R. Tudor (1883) which at around £80 is good value. Expect to pay at least £200 for a decent copy of the two volume set by A. Edmonston entitled A View of the Ancient and Present State of the Zetland Islands (1809) and around the same amount for A Tour through some of the Islands of Orkney and Shetland by P. Neil (1806). Much rarer is The History and Description of the Shetland Islands by the Rev. James Catton (1838), a copy of which fetched £240 at a recent auction. The original edition of the Rev. 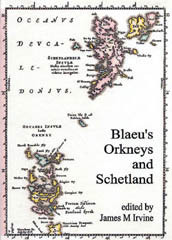 John Brand’s A Brief Description of Orkney Shetland, Pightland Firth and Caithness (1701) is valued at £350, although the 1883 edition can be seen advertised at a more affordable £75. A ‘taster’ by way of excerpts from some of these and other early accounts is incidentally to be found in Derek Flinn’s Travellers in a Bygone Shetland (1989). The reader who is reluctant to pay such prices may be interested to learn that over the last century a number of publications with general descriptions of the Shetland Isles have appeared. These often rely heavily on the above or subsequent original sources for much of their content, so much so in some cases that the repetition can become tiresome. One of the better offerings, now understandably somewhat dated in places, was by the respected head-teacher A.T. Cluness, and appeared in the County Books series in 1951. Entitled The Shetland Isles, the book looks at a variety of historical, geographical and cultural aspects of the islands, and is at the same time both scholarly and accessible to the general reader. With a similar content and equally well written is the publication just titled Shetland in the David and Charles Islands series by local writer James R. Nicolson. The first edition appeared in 1972 but has been subsequently reprinted and updated. Nicolson is a prolific writer who has produced a number of books on such topics as the Shetland fishing industry and local folklore. Always well researched, his books have typically been priced at around £10 on the second-hand market, but are now rising in value. The accusation of mere repetition is certainly not something that could be laid against Hance Smith’s major work Shetland Life and Trade published in1984 at a cost of £20 but now typically finding bids of £50 at auction. Examining in meticulous detail a wide range of primary sources of information (along with some secondary), Shetland born historical geographer Smith painstakingly takes us through the years 1550 to 1914 documenting the various social, political, economic and environmental developments and influences which helped shape life there until the early years of last century. A similarly monumental academic work is Alexander Fenton’s The Northern Isles, published in 1978 at £15 but now costing around £60. Comparing and contrasting Orkney and Shetland, Fenton’s book recreates the physical environment in which the people lived, the work with crops and beasts, the harvest of the sea, the houses, the food they ate in the most intricate and well-researched detail. One of the strengths of both Smith’s and Fenton’s work is that they write factually and dispassionately. This is unlike the more rose-tinted offerings reflected, for example, in some Shetland poetry, but which have also biased a number of otherwise worthwhile observations on an island upbringing that for many people had its fair share of hardships, poverty and drudgery, and drove many thousands to emigrate. 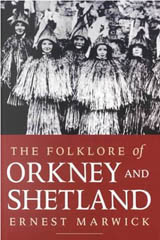 Much Shetland writing is high on description and short on analysis and few books have sought to offer a social commentary on Shetland which is less than flattering, or seek to explain the function of, for example, the various pastimes, rituals and customs about which many people born there reminisce. Some of those who have done so have had a mixed reception in the islands. Although never intended as a sociological work, H.R. Taylor’s A Shetland Parish Doctor (1948), with occasional glimpses of primitive living conditions on the Shetland island of Yell, became an unmentionable item in several households there. More recently Anthony P. Cohen set out to produce the longest sustained and most detailed anthropological study ever undertaken in a British community. His excellent but technical analysis of another island Whalsay: Symbol, Segment and Boundary in a Shetland Island Community (1987), gets few mentions outside academic circles, which is perhaps why I have picked up copies for less than a quarter of its paperback reprint price of £25. Tom Kidd’s Life in Shetland (1980), an atmospheric black and white photographic portrayal which does not show the usual picture postcard flat calm sea at sunset image, was once described to me by a local as not very popular. And it was interesting to see the results of one study into the social, economic and political impact of North Sea oil – R. Byron & G. McFarlane’s Social Change in Dunrossness (1980) – described in the late Edward Thomason’s Island Challenge (1997) as having As far as Shetland was concerned… died the death. Thirty years ago few if any Shetland students studied social sciences. Now the local newspaper is full of photographs of graduates in those disciplines, and the insights which these publications provide will surely supply valuable material for generations of students to come. Nostalgia, sentiment and reminiscing about the past do play a part in most peoples lives and should not be dismissed too lightly, and some notable publications offering unbiased images of the past allow the local reader to make journeys back in time to rekindle memories treasured or otherwise. As one might expect, a good example of this is where a book contains information, verbal or visual, on a family member or place of birth or upbringing. There were heavy casualties in Shetland families during both world wars. Thomas Manson’s Shetland’s Roll of Honour and Roll of Service (1920) for the First World War, which is profusely illustrated with the photographs of those who lost their lives and which documents the names of all who took part, has realised up to £650 at auction although an average price is half that figure for the full leather edition, and £100 for a cloth copy. The Second World War version by Ian Jamieson which appeared in 1991 is currently fetching around £150. In a similar vein, The Dunrossness Story, a history and description of the south end part of the mainland by James W. Irvine, another prolific and accomplished author, has recently become highly desirable. Published in 1987 and originally costing under £10, it sold out when people became aware that it contained many school photographs from earlier in the twentieth century with representatives from almost every family, and one can now expect to pay over £30 for it. 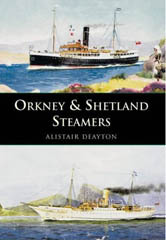 A further recent item, the Sons and Daughters of Shetland (1991) by Margaret S. Robertson, which offers mini-biographies of several hundred Shetlanders in the nineteenth century is bound to follow suit as it has coincided with an upsurge of interest in genealogy and the formation of the Shetland Family History Society in 1991. 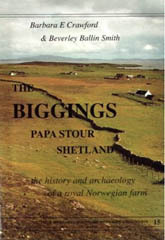 There are not many books on Shetland families and some of those command handsome prices. F.J. Grant’s The County Families of the Zetland Islands (1893) typically costs £300, and a rare privately printed two-volume set documenting my own family name, A Family History Comprising the surnames of Gadie, Gowdy…(etc.) by M.M. Gowdy (1919), a copy of which is held by only one British library (Lerwick), changed hands in recent years for £700. The Goudie family history, documenting as it does not only Shetland and other Scottish families but also those that emigrated, provides a convenient bridge between books written with local interest in mind and those designed to appeal to a wider market. One of my ‘clan’, the Scottish antiquarian Gilbert Goudie, who contributed so much to the family history, provided in The Celtic and Scandinavian Antiquities of Shetland (1904) one of the earlier classics with an archaeological theme which, although it sold poorly when it first came out, is now priced at around £100. Since Goudie’s era there have been significant explorations of existing and new archaeological sites with accompanying documentation. J.R.C. Hamilton’s Excavations at Jarlshof (1956) can be obtained for around £30, and the three volume Royal and Historical Commission on Ancient and Historical Monuments – Orkney and Shetland (1946) for £200. Lloyd Laing’s Orkney and Shetland (1974) and F.T. Wainwright’s Northern Isles (1962) tend to fall in the £20 or less range, as do a variety of currently in-print publications such as R.A. Nicholson & S.J. Dockrill’s Old Scatness Broch, Shetland which describes a recently discovered site now attracting visitors from far and wide. 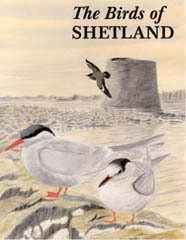 Visitors also travel to Shetland because of the natural history and particularly ornithology, and the prices for local books under these headings are often higher outside the islands than within. One of the many and varied literary outpourings from the related Saxby and Edmonston families of the island of Unst was H.L. Saxby’s The Birds of Shetland (1874) a decent copy of which will cost at least £150. The Birds and Mammals of Shetland (1955) by L. & U. Venables is around £50, K. Williamson’s Fair Isle and its Birds (1965) slightly less, and the first edition of The Natural History of Shetland (1980) by R.J. Berry & J.L. Johnson has rocketed in value and can be seen advertised from between £100 and £200. Early editions of the Shetland Pony Stud-Book also command well over £100. But not all worthwhile books fetch anything like these amounts. Copies of the late local naturalist Bobby Tulloch’s works, such as his Shetland (1988), are still to be found in very good condition for £10 or less. Bobby Tulloch was closely involved in the making of several television documentaries on the islands. Film crews have been frequent visitors to the islands over the last thirty years or so to do with the wildlife, oil industry, fishing, and the fire festival, but were noticeably absent in the decades before then. In the 1930s however a cinema film, The Edge of the World, offering a fictionalised account of the evacuation of St Kilda off the west coast of Scotland, gave publicity to Shetland as it was shot on the outlying island of Foula. A description of the making of the film was written by the internationally renowned director Michael Powell and entitled 200,000 Feet on Foula. Printed in both this country and the United States, copies can be obtained for around £40. A film was also made of the book The Shetland Bus (1951) by David Howarth which told the story of the maritime operations between Shetland and German-occupied Norway in the Second World War. Whereas The Edge of the World is repeated on television from time to time, the film version of The Shetland Bus for reasons I know not, seems, like some wartime vessels, to have sunk without trace. So what of today’s Shetland literary offerings? Will these quietly disappear like the above film, or are they set to become tomorrow’s classics? The standard of current writing is in the main high but so is the cost of many publications, often in the teens of pounds for a slim paperback. Amongst recent in-print contributions, historian and etymologist John Graham has helped make up for a lack of Shetland-based novels by writing Shadowed Valley which is based on the evictions of crofters one hundred years ago. Christine De Luca is keeping the tradition of Shetland dialect poetry alive with such compilations as Wast wi’ da Valkyries, and it is reassuring to see the academic offerings being added to by the tireless researches of local archivist Brian Smith whose Toons and Tenants deals with the rural communities of Shetland over six centuries. Autobiographies or reflections by people who have played some part in the community such as retired health visitor Agnes Hobbin’s A Peerie Peek at da Past are periodically appearing, and the market for reminiscences by an older generation or by exiles therefore continues. But there is perhaps also a case for more contributions reflecting current realities such as Robert Alan Jamieson’s (now out of print) Thin Wealth (1986), a novel set in the oil era which has left in its wake a community bedevilled by the social problems of crime, mindless vandalism, and drug addiction. The interest in and production of Shetland material has perhaps never been higher, and one final development hopefully backs up my early statements regarding the eventual desirability of this island group’s literature. Many significant works are now being reprinted. From Scott’s The Pirate, via Tudor’s Orkneys and Shetland through to the paperback reprint of Fenton’s Northern Isles, one is increasingly seeing titles reappearing. Any bets as to how long we shall have to wait until Tang is added to the list and yet another child wonders what it is all about and, bemused by the whole thing, innocently gets the crayons out? 5 Comments on "Books on the Shetland Isles"
Captain Thomas Tait, noted in Sons and Daughters of Shetland. Grandparents were Robert John Goudie and Jemima Catherine Tait. Robert John Goudie’s father was Peter Gaudie. Interested in further information concerning availability of the book and further Goudie relations. Is it possible to obtain a copy (dvd) of the film ‘The Shetland Bus’ made by David Howarth in 1951. I already have the book. Cpt Thomas Tait was my Gt Grandfather, Auntie Polly (Jemima Catherine Tait) was my Gt Aunt. Can you get in touch? Pleased to be in touch! My sister, Phyllis, was searching on the internet, Shetland-related content, when she came across this web site where I had previously commented. I will certainly look forward to connecting with you. Is it possible to obtain your email address via Elizabeth Downey? Thanks.